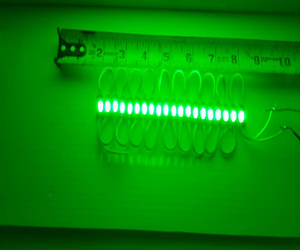 Our MICRO-BlingZ - (20) pack LED modules can be added to anything you would like to add accent lighting. 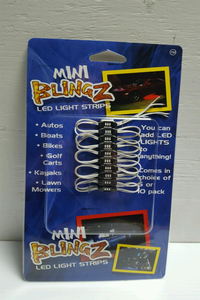 Our Micro-BlingZ are much smaller than the MINI-BlingZ which means you can add them to smaller projects that may not allow much room for installing LEDs. They operate on 9 to 12 VOLTs DC allowing some flexibility in powering options. Whether its a 9 VOLT standard battery for small projects or our optional 110V to 12V converter for larger projects these LEDs consume minimal amounts of electricity. 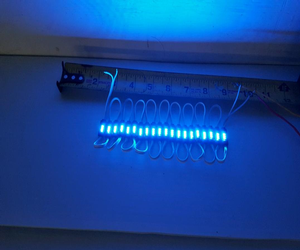 The modules come standard with 3M double sided tape, but for permanent installations we recommend a store bought adhesive designed for the particular surface you are mounting your LEDs. When ordering more than one color, please place separate orders for each color. Our MICRO-BlingZ - (5) pack LED modules can be added to anything you would like to add accent lighting. 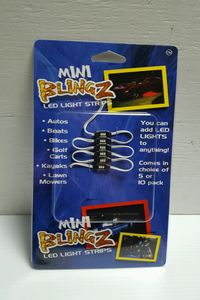 Our Micro-BlingZ are much smaller than the MINI-BlingZ which means you can add them to smaller projects that may not allow much room for installing LEDs.